Tent Stake Caps serve two purposes: to protect guests from tripping over or stubbing toes on tent stakes and to provide an aesthetically pleasing,finished look to your party tents. Caps are made from ABS Plastic and can fit stakes up to 2" in diameter. 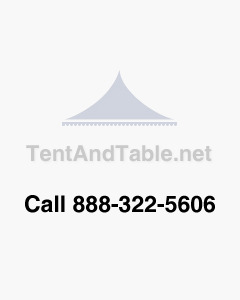 If you run a rental business with tents or simply own one tent, these tent stake caps will give you peace of mind. Whether you are moving your tent stakes around or tearing down after an event, there is always the danger of someone being injured by tent stakes that are laying around or that might be dropped accidentally.